The lights are out in Ghana. Dum sɔ. Without any notice, they flicker off, briefly on, then off again. For years, periodic electricity shortages have meant stretches of time with ‘light off’; or dumsor. Meaning: no fans (or air conditioning for those who can afford it), no refrigerator to keep food cool in the heat, and power outages that jump start and spoil electrical goods. The situation has grown steadily worse over the past three years. In the space of a few months in 2014, Ghanaians went from having no electricity for 6 out of every 24 hours, to being without it for 12 out of every 24. Today, the load-shedding timetable leaves people with electricity just three times a week, at best. The immediate impacts are clear. The state broadcaster has had to cut back its schedule; hospitals – unable to fix the diesel-powered generators that provide expensive back-up electricity – have been forced to deliver babies by torchlight; and the impact on productivity has meant that people are losing their jobs. Multiple reasons for the shortages are reported; from problems with the capacity of the Akosombo Dam and its ability to produce hydroelectricity, to damage that has been wreaked on the West African Gas Pipeline. Or there are the political issues in Nigeria that have been compounded by the vandalism of gas pipelines in that country and that have made it impossible to transport the needed gas from Nigeria to Ghana in order to power the country’s energy plants. A vigil in Accra, spearheaded by Ghanaian celebrities including Yvonne Nelson and Sarkodie, grew out of a Twitter campaign labelled #DumsorMustStop. The march, which was held on the 16th of May, reportedly brought two thousand people to the streets of the capital. Further scenes were repeated in Kumasi, Ghana’s second city, this past weekend. The political response to the demonstrations has been muted. President John Dramani Mahama has long emphasised that he understands the dire impact that erratic electricity generation continues to have on ordinary Ghanaians. Constant public reassurances, however, with little tangible short-term action has meant that the public’s frustration has not lessened. An internet search for the President’s name highlights the wit of Ghana’s Twitterati and causes Google to helpfully suggest that you might be looking for one ‘John Dumsor Mahama’. 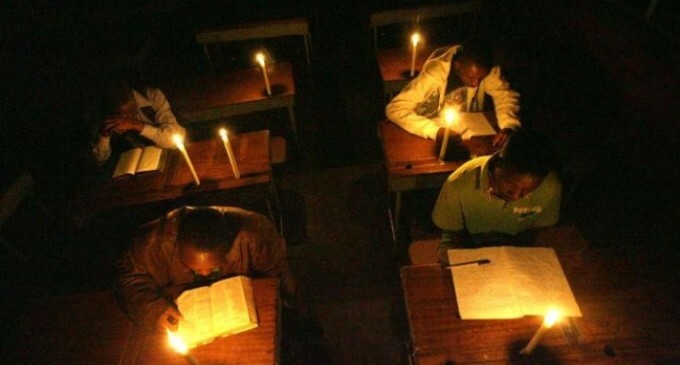 Ghana is, of course, not the only African country experiencing rolling blackouts: the suffering of Nigerians and South Africans has also made international headlines. But the speed of the about-turn that has been witnessed by a country that was, until recently, viewed so positively by external commentators is stark. It was not so long ago that the country was being referred to, by those as the Financial Times, as the ‘poster child of the “Africa rising”’ narrative. International portrayals of Ghana have often been flattering but superficial. You will read over and over again that Ghana and its people are friendly and welcoming, peaceful (usually meaning that the country has oil but hasn’t erupted into internecine war) and democratic (power has repeatedly been handed over between rival political parties at elections, even though the results have been close run) – all true, and all positive. But while Ghana’s success deserves to be heralded, to regard the country in a forever static, immutable state is inaccurate and does its people a disservice. Ghanaians are being asked to demonstrate significant patience in the short-term, but the impacts of unreliable electricity will be lasting, particularly given the lag-time of measures recently introduced to fix the problems. For example, the construction of a new power plant by GE, which is pitched to provide 1200 MW of electricity, will not be complete until at least 2020. Emergency funding from the World Bank, agreed in April 2015, will extend a $60 million credit line to the Electricity Company of Ghana (ECG) in order to enhance its efficiency, but this will not immediately improve the population’s dumsor situation; particularly when the ECG still needs to attract additional private investment and encourage government departments to pay their electricity bills. The dumsor protests have been marked by the involvement of Ghanaians across all social strati. The poor and the growing middle class have also been hard-hit by measures to rein in the country’s spiralling economic problems. Poor assessments of the currency in late 2013 have grown worse in the subsequent eighteen months. The cedi was the worst performing currency in Africa in 2014, and its value has fallen by a further 19 percent in 2015. The experiences of everyday Ghanaians continues to illustrate the human cost of macroeconomic mismanagement. For upper middle class Ghanaians, foreign exchange restrictions introduced in February 2014 meant that those who kept dollar accounts suddenly could only access these funds in cedis. But so sharply had Ghana’s currency fallen against the dollar that the purchasing power of people’s savings were, at the very least, halved. The rapidly weakening currency combined with soaring commodity prices further caused the costs of some goods to triple within months; leaving poorer Ghanaians struggling to feed their families. Across social divides, a population once excited by the promise of oil revenues was unexpectedly hard-hit. The government secured a loan from the International Monetary Fund in February 2015, worth almost $1 billion. The agreement will issue funding over three years, but requires Ghana to make austere cuts as part of an economic reform programme. And there are other issues. Ghana placed at the absolute bottom for educational achievement in an OECD assessment of 76 countries that included five African nations. According to the findings, out of all the countries surveyed Ghana would see the biggest improvement in its economic performance – an estimated growth of over 3000 percent – if only all fifteen year olds were able to receive a basic level of teaching in maths and science. Setting the groundwork to ensure that the country’s potential is harnessed, and that economic growth is inclusive and sustainable is vital. But this will be a significant challenge for Ghana’s embattled political leaders. Salary arrears for those working in the public sector and the civil service are not new, but concerns remain over how those employed to serve the country will avoid compromising their positions when they cannot depend on reliable compensation for their work. The economic negativity in Ghana is hopefully short-term and reversible; but the impact on the social contract must also be taken seriously. Ghanaians expect their government to deliver, but lacking dependability on the government’s part could erode the relationship between the electorate and their chosen representatives. A few weeks ago, my mother bemusedly told me that dumsor now has its own Wikipedia page; a bitter signal that Ghana’s issues are increasingly acknowledged externally and might even be beginning to temper its benign international image. While the long-term structural work to fix Ghana’s economy – and to turn its lights back on – has begun, there must be a commensurate political effort to restore the population’s faith in the country’s governance. Adjoa Anyimadu is a Ghanaian researcher focused on African politics. She has worked at the Parliament of Ghana, and is a researcher at an international affairs think tank, based in London.